25 March 2019…Wabasso/Vero... Ran to the North islands, bait all over, no real players, one Hardhead Cat. Headed South, North Sister, clean water, no fish, again, bait all over. 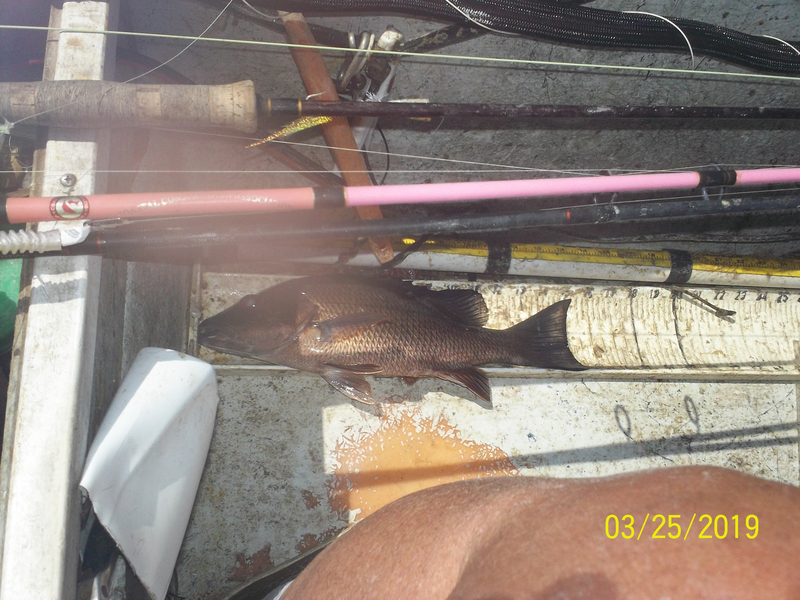 Grand Harbor flat was thick with Ladies in the 2 to 3 pound range. Managed to get a 17 inch Trout out of the herd. Past the Golf Cart Bridge, short Snook active. Saw a couple of out of place blobs in the sand. Quick cast with the Baby Vudu, did not move it, just let it sit. A Little Ugly swam over and ate it. Time once again to hunt for Reds, failed again. Worked the Vero docks from Rag Baggers Row East. Looking for Snook. Saw one under a dock, not a player. Had another one try to eat a short Snapper. 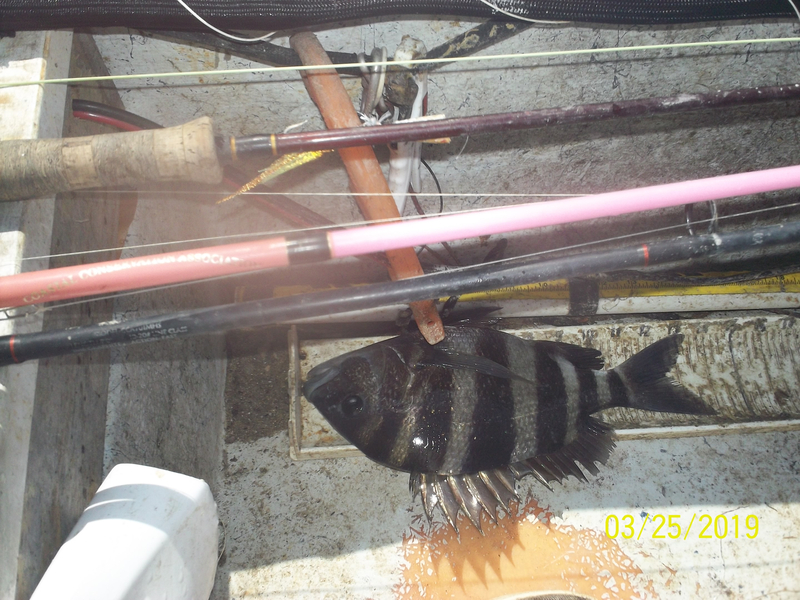 Seeing a few Sheepshead, boated one and missed several. Player of the day, a 15 inch Snapper. Most of the docks have been rebuilt, should be good again. Did not chase the Trout today. Did put together another Slam. Snapper, Snook and Spanish Mackerel. Will not submit, Mackerel was only 10 inches. Tried the Pine Island mud bay for Reds. None, instead got a 31 inch Snook. Real battle on 4 # test. 5 runs into the Mangroves, went to freeline on one run, she turned and came straight out. No room for her to jump, less than 2 feet of water in most of the area. Stopped at Hobart Landing flat on the way home couple more slot Trout. All players released for future encounters. 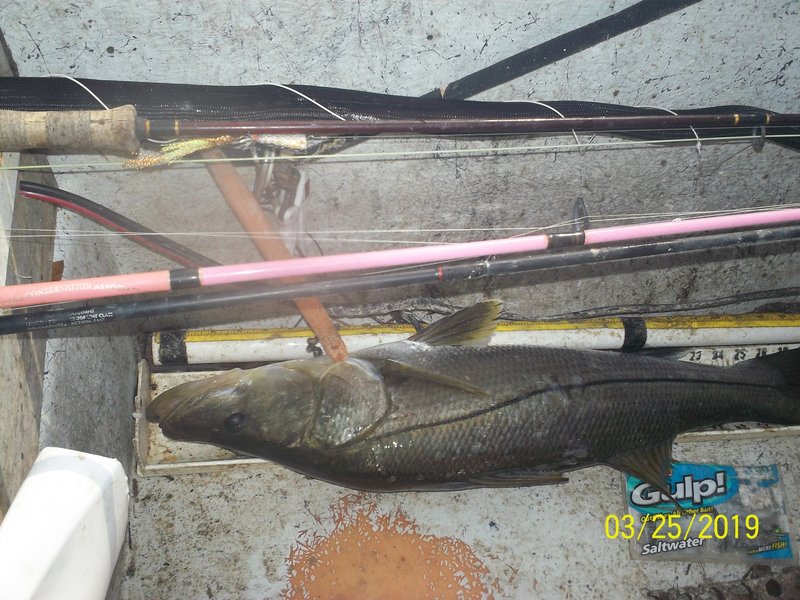 31" snook on 4lb is a great catch. I am sure you had to do a lot of maneuvering to make that happen. I lost an estimated 31" red Sat on 2lb after a 20 minute battle. Trying for a slam on 2lb the past 3 outings. 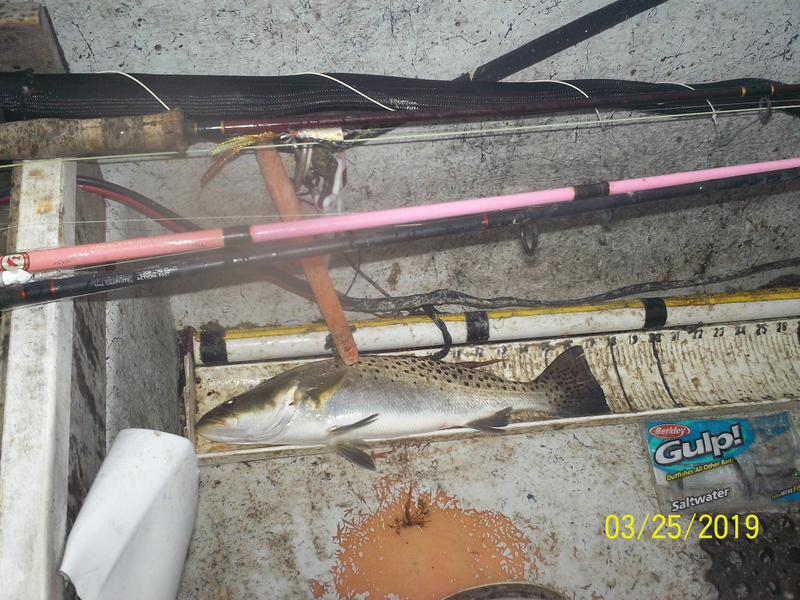 The snook and trout are fairly easy but the reds are tough cookies with mangroves around. Were you using mono or braid? Mono for me. I would like to try PowerPro 3lb or maybe 5lb, any thing above 4lb and I don't really consider it UltraLight,,just light. I did get a nice trout and a 24.5" snook on 2lb Sat. Along with small jacks,cudas and ladies. How do you work the Baby Vudu Shrimp for sheepshead? And does it need Procure for them to bite? I do not use Procure or any other attractant. 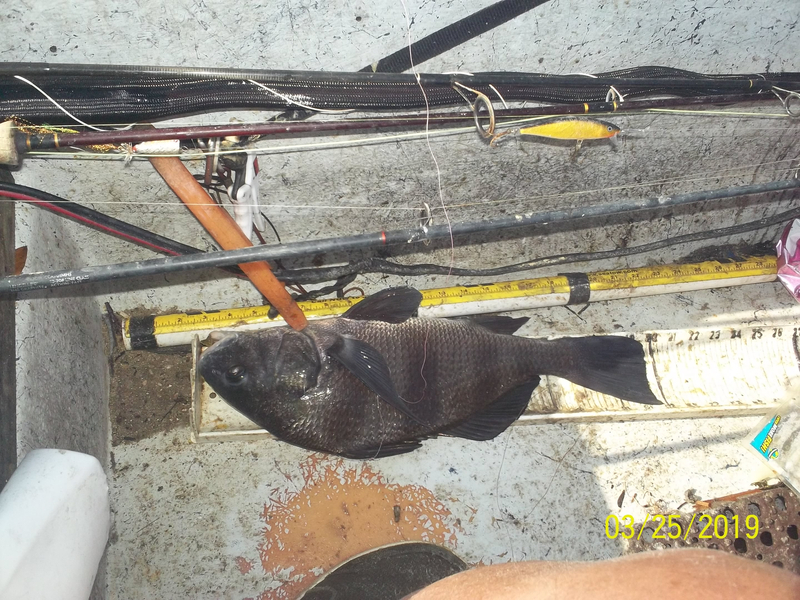 When targeting Sheepshead, I sight fish them. Pitch the Baby Vudu about 12 inches out in front of them. Get it in their line of sight, any change in direction or rate of drop, lift straight up for the hook set.